In forex trading market, the best advantage, which we get, is that we can trade live forex scenario with a practice account and with zero risk. All forex brokers offer this forex demo account facility at absolutely free of cost. Now you must be thinking, why would anybody provide any service free of cost? Hmm, nice question, well the answer is very simple, every forex broker wants you to get familiar with the real forex market scenario and how to trade forex via trading platform and how to utilize all the services provided by the forex broker. The main reason is that the forex broker wants you to feel satisfied by their services and open a real account with them by depositing real cash. Everybody wants business, if you will open a real account with them, they will get business, and you will also get the forex trading services. 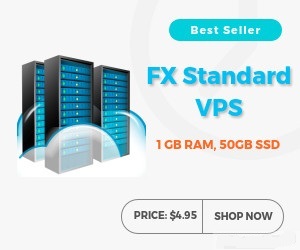 The best part in this is that forex broker really wants you to feel comfortable with the real forex market scenario with absolutely zero risk by providing you virtual money. Yes, you would be provided with virtual money, as much as you want from $10,000 to $1,000,000 as, so you trade forex with zero risk and do whatever you want i.e. if you are a new trader then you can learn forex trading and if you are an experienced trader, you can try out your trading strategies before implementing them in a real account. All in all, it’s a win win situation for the forex trader. Now let me describe you the main thing which we should keep in mind while trading forex with a demo account. Many people believe that forex demo account is useless because as we have nothing to lose so we can trade in any method, and if our trade results into a loss then why bother? And more blah blah !!! The first thing, we should remember is, we are trading forex as a business, not a game nor any type of gambling, and secondly we should forget that this is a demo account, because if we trade it like a demo account then there would be carelessness in our forex trading plans and forex trading strategies as so we will not be able to learn properly and, as a result, we will be blacked out in a real account. The key to be a successful forex trader is to trade with being honest to our self and our trading goals and commitments. Trading Forex is all about calculated risks and rewards. We should learn the art of taking calculated risks and boost our confidence with the help of this forex demo account. •	Forex demo account is absolutely free. •	We can trade forex 24 hours a day and 5.5 days a week in real forex market scenario with stipulated trades. •	We become the member of a forex broker and can ask for support regarding forex trading. •	We can live test our forex trading strategies with absolutely zero risk. •	We can back test our forex trading strategies. Forex Practice Account — Is Demo Account Really a Good Thing? Personally, I do not feel that there is any disadvantage in trading forex with a practice account for a new forex trader. I will recommend that this is really an important step to know our self and the forex trading market before entering the forex trading market with the real money. You should practice in a demo account until you are comfortable and are earning consistent profits for a minimum of 2 months before switching to a real account.